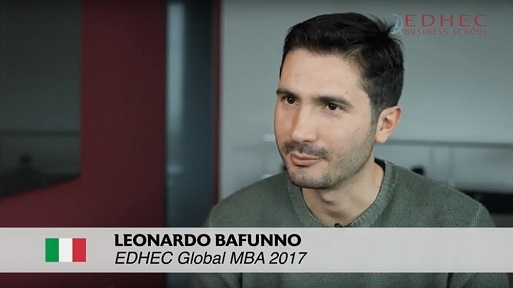 The EDHEC Global MBA is life-changing: by mixing relevant business education with an invaluable human experience, it allows you to have a profound impact on your career, your life and your environment. EDHEC Global MBA CareerSMART Programme is an innovative career programme that includes personalised career coaching for each participant. Our Career Services are ranked #1 in France for Student Assessment of Career Services (The Economist 2016). Case studies, business simulations, consulting projects, internships, innovation project and entrepreneurial project : the programme constantly offers opportunities to put skills into practice. EDHEC scholarships are awarded based on the overall quality of your profile. EDHEC’s transparent scholarship policy provides you valuable financial assistance. EDHEC offers one of the world's most diverse MBA classrooms with over 30 nationalities, 40% women, experience ranges from 3 years to over 20, and one of the broadest arrays of educational and sectorial backgrounds. EDHEC’s Campus is located in Nice, a truly international city with an unbeatable quality of life. EDHEC Campus is in an elegant and modern complex overlooking the Mediterranean Sea. MBA participants benefit from an entire floor dedicated to executive training, learning, and research. The trip was so well orchestrated, so well thought out, that you could not walk away from it without taking a moment to be thankful for the positon you’re in, and to be inspired by the South Africans. 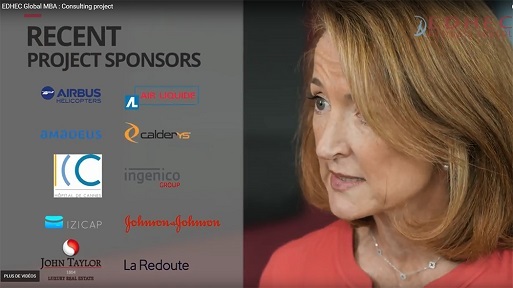 I pursued the EDHEC MBA because I wanted the international exposure offered by EDHEC through its student diversity, pool of professors, and location. I wanted a global perspective on business and finance issues, not just a US-centric version. The support network at EDHEC was superb. All the advice I received, ranging from interview techniques to personal branding and networking, has led me to where I am today. Definitely, the best career choice I’ve made!